GALION — The Galion PTO has lots of great things planned for the 2017-2018 school year, and President Teresa Troiano is excited for each and every event. For 14 years, teacher Bryan Summer has led the PTO with little to no help. When Troiano was new to the district last year, she was looking for a way to get involved and found her place with the PTO. She and a couple of others stepped up to help Summer and in turn they learned the roles PTO members generally are involved in. The timing could not have been more perfect, as Summer will retire from teaching at the end of this school year. When officers were chosen in May, Troiano was elected president. And she has hit the ground running. “The 2016-2017 school year was a re-structuring year for the Galion PTO,” she said. Last year, a couple of new activities were added that were well received. In December, Santa visited the Primary and Intermediate buildings and brought reindeer with him that students were able to pet and get close to. In March, the Father/Daughter Dance held at Galion Middle School was a huge success. With the positive responses from those two events, PTO volunteers are moving ahead and adding to their calendar. So far this year, they had a pep rally for students at the Primary building complete with GHS football players, cheerleaders, and the Tigers mascot. In November, due to a huge response from parents, they will have a “Barn Dance” that will be a Mother/Son Dance at the Intermediate Building. Activities for that evening will include games and dance lessons from local instructor Kyle Solomon. They also have coordinated with teachers and administrators at both elementary schools o help with the PBIS Behavioral Incentive. The “Positive Behavior Incentive and Support” Program is a monthly reward for students who earn the opportunity to do a special activity. The reward for September, was held last week and included lots of outdoor games and prizes. In October, students will take part in a hayride. Future fundraising opportunities include the annual Santa Shop where students can buy small inexpensive gifts for the holidays. This year, the PTO has taken a new approach to the Santa Shop. They also are working on the upcoming Book Fair scheduled for the first two weeks in November in both the Primary and Intermediate buildings. Proceeds from the Book Fair go directly to the libraries in each school. The PTO is also looking into different ways to approach fundraising that will get them away from the typical school related sales that have been in place for years. With that in mind, they are planning a Fun Run fundraiser that will take things in a new direction. “We are trying to do things they way we have heard that Galion parents want them to be done,” Troiano said. With the start of the new school year, the PTO leadership has also tried to offer multiple opportunities for parents to attend meetings and get involved. They meet regularly on the first Tuesday of every month at 7 p.m. in the library of the Intermediate building and will also meet this Friday at 9 a.m. uptown at the Candi Bar. 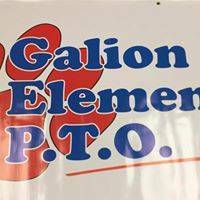 If you would like more information on the Galion PTO or would like to help with upcoming activities, please contact Troiano at kinneytl@hotmail.com.